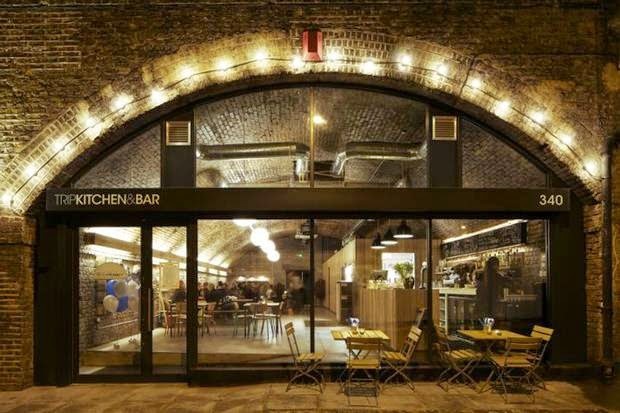 Jones at Trip from the outside looks like a converted railway arch situated in Acton mews, just off Regents Canal. It's exposed brickwork and canteen style restaurant makes it a great dining experience. The menu offers european seasonal food which is carefully sourced and prepared by Andy Jones. Jones at Trip is the 2nd instalment by Jones & Sons. Founded by Andy Jones. 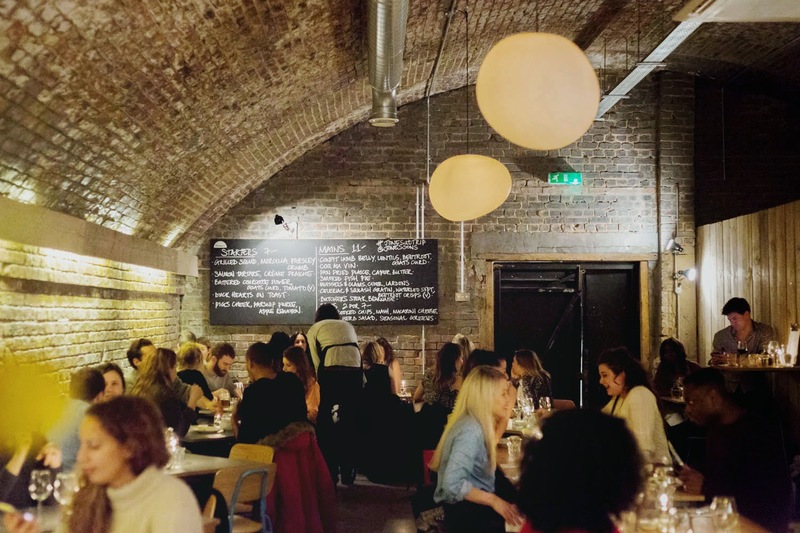 The first restaurant in Dalston provides a fine dining experience with a classic British seasonally sourced menu. I was invited along with a friend to the opening night to experience the new menu. The menu on offer is very varied and boasts delicious, affordable options for brunch, lunch and dinner. Price range from £7.50 for starter and from £12.50 for main options. Sides are priced at £3.50 each. The menu is fairly affordable. When we was presented with the menu, I loved the sound of the dinner options. For starters I went for Salmon tartare with creme fraiche which was fairly simple and light which left room for my second dish. I was enticed by the confit lamb belly, lentils, beetroot and goats curd for my main which the meat was cooked to perfection, couldn't fault it. For the side - Mac & cheese (as I have quite the obsession) again this was pretty good, crispy on the top and creamy in the inside and lastly washed down with a margarita cocktail; while my friend had the grilled squid as a starter, butchers steak and béarnaise sauce for main and side of triple cooked chips. And finally for dessert I had a sticky toffee pudding with ice cream where my friend opted for a tart with cream; by the end of the meal we was stuffed to the 9s. So that's always good. Overall the food was of a good quality and standard. The service was quick and efficient despite it being pretty busy. Definitely worth checking out if your in the Haggerston area, great for sit in brunch, lunch, after work drinks and dinner.